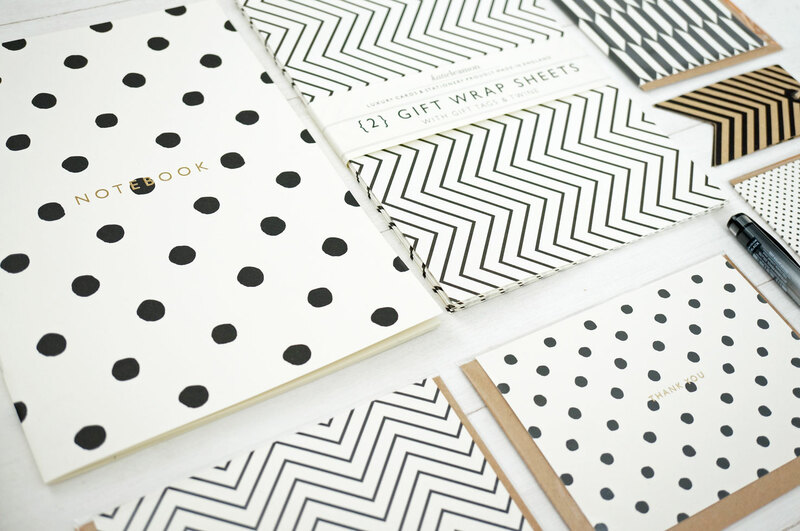 This is the new Monochrome collection from luxury card and stationery designer Katie Leamon, and it’s just gorgeous! I have a polkadot notebook, zig-zag gift wrap and tags, and a selection of greeting cards to share with you today. The brand Katie Leamon launched in 2011, it’s a reflection of Katie’s love of typography, stationery and vintage curiosities, and it aims to deliver beautiful designs that evoke a sense of nostalgia. The products are simple yet stunning, and I love that they’re predominantly hand printed using individual rubber stamps on top quality papers and cards – this means each product is unique and you can really see the human touch in the finish that runs throughout the brand. This beautiful new collection features gold-foiled typography designs, monochrome patterns and hand printed, original illustrations. I can’t tell you how much I love everything! The notebook is probably my favourite though (I must admit I do have a bit of a notebook fetish, but that’s normal right??) It’s just so simple and to the point, with such a high quality finish, I think anyone would love it. The greetings cards all come with simple phrases such as ‘Thank You’ or ‘Hello’ leaving you to personalise the inside of the card yourself. 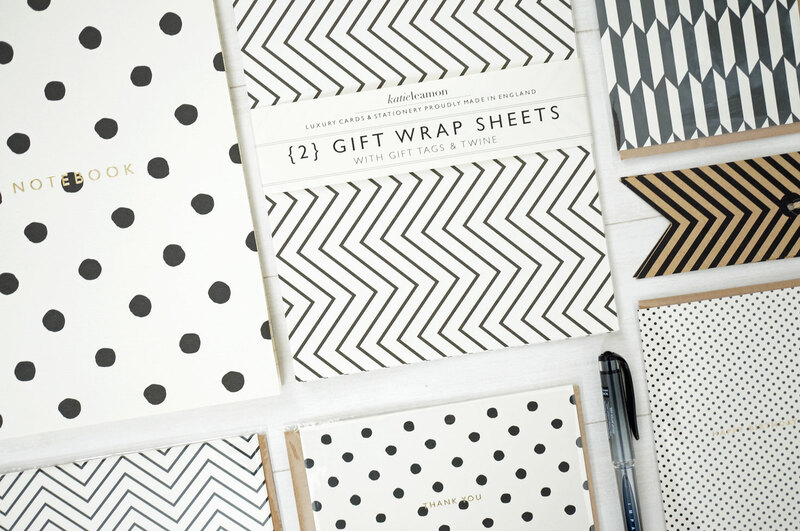 I’m also a fan of the recycled paper envelopes that contrast well with the monochrome patterns. The Monochrome collection starts from £3.50 for a greetings card, and Katie Leamon have also kindly given me a discount code for you guys, you can get 10% off your order with code: TSNC10, this will run for one week from 08/05/15 – 15/05/15. This range looks lovely. I really like nice notebooks for when I’m travelling and working. I love the polka dot designs. 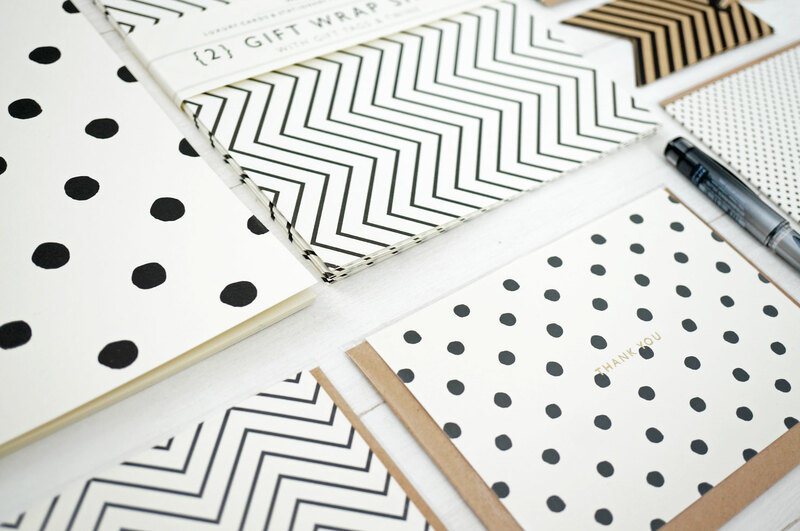 Ooh beautiful stationery, I am a notebook fiend and I love the look of these.